On 17 January Theresa May gave her biggest speech on Brexit to date, going beyond the “Brexit means Brexit” comments and finally shedding some light on the type of deal the UK government will seek to negotiate with the remaining 27 members of the European Union. The UK prime minister confirmed the government does not aim to retain membership of the European single market, but will seek “the greatest possible access to it through a new, comprehensive, bold and ambitious free-trade agreement”. May ruled out anything that leaves Britain “half-in, half out” and the media coined a new expression to define the UK divorce terms: on the day of the speech, Brexit was no longer “hard” of “soft”, but “clean”. The UK premier noted the new customs agreement with the EU could “take in elements of current single market arrangements in certain areas” like the freedom to provide financial services across national borders since “it makes no sense to start again from scratch when Britain and the remaining member states have adhered to the same rules for so many years”. The UK will no longer be member of the single market, and the number of EU citizens coming to UK will be controlled, May said, as she did not give unilateral guarantee to EU nationals resident in the UK. Under May’s Brexit terms, Britain “will not be required to contribute huge sums to the EU budget” but, instead, it will give an “appropriate” contribution. Despite “some voices calling for a punitive deal” for Britain, May said she was positive on an amicable agreement but she was also “equally clear” that “no deal for Britain is better than a bad deal for Britain”. She confirmed the UK parliament will vote on the final Brexit deal with the EU before it comes into force and said the government want a “phased process of implementation” by the time the two-year Article 50 process concludes. Instead of a hurdle for UK’s economy, Brexit is an opportunity to build “a truly global Britain” and “one of the firmest advocates for free trade anywhere in the world”, May said. “We want to get out into the wider world, to trade and do business all around the globe. Countries including China, Brazil, and the Gulf States have already expressed their interest in striking trade deals with us. We have started discussions on future trade ties with countries like Australia, New Zealand and India. And President-elect Trump has said Britain is not “at the back of the queue” for a trade deal with the United States, the world’s biggest economy, but front of the line”. 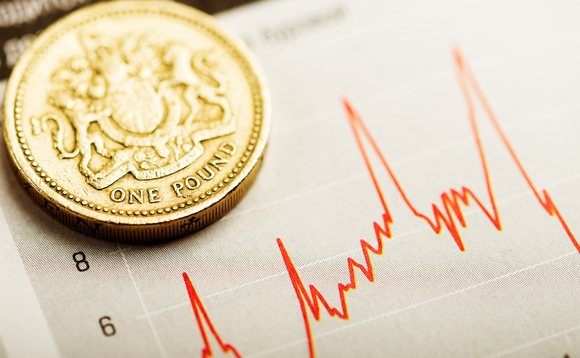 According to FXTM Research Analyst Lukman Otunuga, May’s “optimistic evaluation” of the UK’s exit negotiations rekindled investor attraction towards the sterling – the currency bounced back to $1.239 at the time of publication, increasing sharply from Monday’s levels, where the pound briefly traded below $1.20 for the first time in three decades. “A decisive breakout and daily close above 1.2350 could encourage a further incline higher towards the next relevant resistance level at 1.2500. A persistently weak Dollar created from the rising Trump uncertainties could elevate the GBPUSD higher this week with technical traders carefully observing how prices react to 1.2350,” Otunuga said.